The above quilt was donated to Buckmasters. 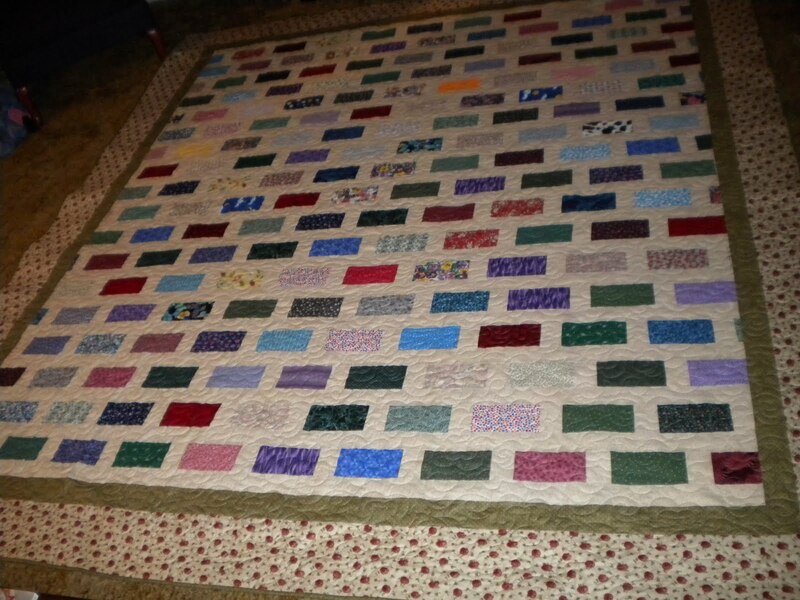 This quilt top was among the things donated to the guild by Cleo Needler's family. 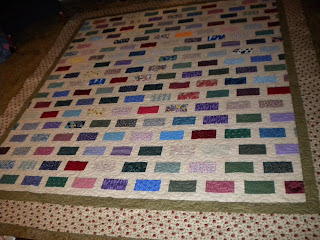 Angela McCorkle added the borders and quilted it and donated it on behalf of the guild. Buckmasters is an organization that raises money to give children, handicapped individuals and wounded warriors the opportunity to hunt. This quilt was auctioned for $575.00.